How is it living in Jamaica? Have you thought about moving to Jamaica in the near future? So, here are seven (7) important considerations I compiled for you about living in Jamaica. The three major industries in Jamaica remains tourism, Insurance and mining. Business Process Outsourcing (BPO) is another industry that has been rapidly growing in recent years. This has provided hundreds of employments especially for the young people across the country. The government believes that full employment is soon to be available since there is now (finally) growth in job creating projects. Although the Jamaican dollar is weak against the US currency. Read more on jobs here. Public buses and cars account for the major taxi services here in Jamaica. These services are relatively cheap, especially in cities. If you wish to reside permanently here though, I'd personally would suggest you get your own vehicle, less cumbersome, less hassle, more freedom. If you do decide to get your own vehicle, please be on the lookout for crazy speeding and overtaking - sad but true. Read more on transporation in Jamaica here. It can be very expensive living in Jamaica. General Consumption Tax is between 16.5% and 20% and this is found on almost all items in the supermarkets and boutiques. A middle class family, small family will often spend a minimum of 10 thousand dollars and more per week just the supermarket only. As for electricity, the rate is paid on usage, but I find that the cost is dependent on where you live. Persons in rural areas typically pay way less than those in the city. But the good news is, it may be less expensive than where you are from (outside of Jamaica). Read more on living in Jamaica here. Housing cost varies depending on where you live as well but maybe cheaper and easier to rent a home/apartment. You can easily find rental homes in the classifieds section of any local news paper. So what about purchasing a home? A friend of mine purchased a 2 bedroom flat for 8.5 million dollars 4 years ago in the Bogue Village residential area of Montego Bay. That house is valued at 12 million now, so that you give you an idea. expensive. It is also important to note that the buying process of a house in Jamaica can be a bit lengthy. I highly recommend you get a lawyer to guide the process for you. Good medical care is available for everyone. Each parish has its own public hospital and there are a wide range of private health centres accoss the island. Hospitals are free so the poorer class has the privilege of top class medical care just as the upper and middle class. The only caveat is that the private health sectors provide faster services, the waiting period is usually very long and can become very wearisome. Top class private hospitals are however readily available. In Montego Bay, the new Hospiten comes quickly to mind. You may already know that it is sunny most days of the year in Jamaica, which allows for more time to work and enjoy all the country’s grandeur. Yes, the weather still remains our prized attraction. More on the climate in Jamaica Jamaican climate. The Happy Planet Index, produced by the London-based New Economics Foundation, also alluded to this, when Jamaica was ranked as the 6th happiest country in the world in 2012! Our country’s educational system is based off the Uk model due to its history with British colonization. To date, Jamaica has over 1000 public schools with occupancy of well over 100,000 students. And, there are also many private kindergarten and pre-schools. Children begin infant school at two to three years of age and then move to the primary and secondary level. Read more on education in Jamaica here. As for universities, we have an increasing number. The University of Technology, Northern Caribbean University, and the University of the West Indies are amoung the most established. 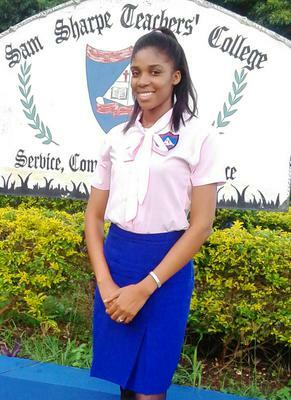 Read on colleges in Jamaica here. Religion is an important aspect of the Jamaican culture. The majority of our population holds Christian beliefs, including yours truly, with our main days of worship being Saturdays and Sundays. There are other notable religious groups in Jamaica which includes Rastafarianism. Interestingly, although Jamaica is easily recognized by the Rastafarian clours red, green and gold, only around 1% of the population practice this belief. 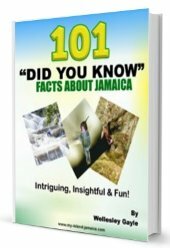 Read more on religions in Jamaica here. Living in Jamaica. (N.d) Retrieved from JamPro Trade & Investment Jamaica.